Most people just assume that stiffness and discomfort in the knees are a common part of aging. However, the reality is that any sort of discomfort is typically a sign that something is not functioning correctly. Many people who deal with painful knees in their middle and later years are actually suffering from osteoarthritis. Osteoarthritis is a degenerative joint disease that happens when the protective tissue surrounding the bones in your knees becomes eroded. This causes bones to grind against each other, resulting in inflammation and pain. According to the Arthritis Foundation, roughly 27 million people in the United States alone have osteoarthritis, and the knee is the most commonly affected area. It is more likely to occur among those who are older, have a higher weight, are female, or participate in long-distance running, but osteoarthritis can happen to anyone. Osteoarthritis is definitely uncomfortable, but it does not have to control your life. Treatments for this condition rely on painkilling medications and exercises to strengthen and protect the knee joint. At Maplewood of Sauk Prairie, those suffering from physical ailments have access to a variety of rehabilitation services. Our talented and dedicated staff can provide rehabilitation, balance, and movement therapy that will make it easier to regain function in your knees. Sources: https://www.arthritis.org/about-arthritis/types/osteoarthritis/what-is-osteoarthritis.php https://www.webmd.com/osteoarthritis/ostearthritis-of-the-knee-degenerative-arthritis-of-the-knee#1Navigating and interacting with the world relies on good balance, which in turn relies on several body parts working together to work. The eyes, ears, bones, joints, and brain must act in accordance; each one is constantly updated and adjusted to keep the body regular. The inner ear does much of the balancing work as the vestibular system, while the muscles and joints work as the proprioceptive system to sense where the body is. What might not be as obvious but just as important, however, is the vision. Fortunately testing the vision for its effects on the vestibular and proprioceptive systems is not difficult, though it requires seeing a doctor familiar with these links. A scan of the vision system in the interest of physical therapy comes in several parts, only one of which is just checking the eyes for good health. The doctor or physician will also check oculomotor skills, focusing skills, and how well the mind interprets and processes visual stimuli. Whether or not the eyes can work simultaneously with the brain and other systems is of utmost importance, since the visual system processes the information it receives almost instantaneously. What must additionally be tested are other injuries and disorders that affect vision, since treating those can alleviate any resulting balance problems. With the hard work and cooperation of the patient, deficient skills and habits can be improved in due time. While vision may not appear to be the most important factor in keeping balance, the body needs them to maintain it normally. It takes the vestibular, vision, and proprioceptive systems working together to keep things level; but it is the vision which provides most of the necessary information. As this article has shown, poor vision can disrupt the other systems to the point of great risk. Proper care of the ocular and motor functions can help reverse some of the risk and improve balance, whether the fix is a simple pair of glasses or rigorous physical therapy. If your child is currently struggling with vision-related balance problem, a visit to Maplewood of Sauk Prairie can get them on the path to recovery. Sources: http://www.ucdmc.ucdavis.edu/publish/news/newsroom/7895 https://theinspiredtreehouse.com/how-the-visual-system-affects-balance/ https://vestibular.org/news/12-23-2016/connection-between-vision-balance https://www.eyeandear.org.au/page/Patients/Patient_information/Balance_Disorders/How_does_the_balance_system_work/Adult Peripheral Neuropathy can be a serious, debilitating and life-altering medical condition that can limit an individual’s mobility and significantly impact his or her quality of life. The following brief article will examine this health malady, as well as cover associated topics including the different forms of the illness, the disease’s causes, symptoms, methods of diagnosis and treatment options. Most treatment protocols involve first diagnosing the condition's specific underlying cause. Sometimes fixing the precipitating problem can alleviate or possibly even eliminate the pain, weakness and other associated manifestations. In instances where nerve damage is extensive and/or the symptoms are particularly severe, treatment might be geared towards managing said symptoms using medications, electrical nerve stimulation and/or surgery. Peripheral Neuropathy can be an especially debilitating condition for the aged and/or people with other physical disabilities and/or complicating factors. In such instances, rehabilitation might be necessary. Those in need of rehabilitation may benefit from the services we provide at Maplewood of Sauk Prairie. We are a skilled nursing facility and provide outpatient rehabilitation as well. For more information, please contact us. Sources: 1. https://www.ninds.nih.gov/Disorders/Patient-Caregiver-Education/Fact-Sheets/Peripheral-Neuropathy-Fact-Sheet#3208_2 2. https://www.webmd.com/brain/understanding-peripheral-neuropathy-basics#1 3. https://www.mayoclinic.org/diseases-conditions/peripheral-neuropathy/symptoms-causes/syc-20352061The World Health Organization reports that Alzheimer's disease and other forms of dementia will increase three-fold by 2050. And according to studies conducted by UCLA 5.5 million Americans currently, suffer from Alzheimer’s. This number is expected to be around 15 million by 2060. The early detection of Alzheimer’s is of extreme importance and there are a number of warning signs for loved ones to look when interacting with elderly family members. Here are some of the top Alzheimer's disease signs and symptoms. The proper functioning of fine motor skills is often a casualty to Alzheimer’s disease. This decline in motor skills can manifest itself in ways like struggles with tying shoes, buttoning clothes, or making use of eating utensils. Alzheimer’s disease can be extremely debilitating for elders and a cause of much sadness to family members. Recognizing the signs of Alzheimer’s is crucial as early detection of the disease affords Alzheimer’s experts like those presently at work at the Maple Wood of Sauk Praire, in Sauk City Wisconsin. Alzheimer's Disease. (2017, May 08). Retrieved December 24, 2017, from https://www.psychologytoday.com/conditions/alzheimers-disease Alzheimer's Disease Fact Sheet. (n.d.). Retrieved December 24, 2017, from https://www.nia.nih.gov/health/alzheimers-disease-fact-sheetAs many as 300,000 people, over the age of 65, experience a hip fracture each year. Without the once-strong bones, this can be a life-changing experience for most. It takes a good rehabilitation program to help an elderly patient to recover from hip fractures. While a hospital can perform certain procedures, a specialized rehabilitation program is essential. Reducing pain and swelling is the first step in gaining back your freedom. The next step is increasing mobility and flexibility, followed by strengthening. It is often difficult to receive the personal treatment needed at a nursing home due to the numerous duties that they are required to perform. Be prepared by seeking the best, such as Sauk Prairie Physical Therapy located in Sauk City, Wisconsin. Their team of dedicated nurses and nursing assistants are available 24 hours a day to assist you and support you on the road to recovery. Sources: Hip Fractures Older Adults Centers for Disease Control and Prevention (2016, September) Retrieved January 3, 2018, from https://www.cdc.gov/homeandrecreationalsafety/falls/adulthipfx.html Facts and Statistics, Hip Fracture, IOF, International Osteoporosis Foundation (2017) Retrieved January 3, 2018, from https://www.iofbonehealth.org/facts-statistics#category-16 Osteoporosis, Medline Plus, US National Library of Medicine (2017, November) Retrieved January 3, 2018, from https://medlineplus.gov/osteoporosis.html Hip-Fracture Surgery Risk Not Just Due to Age, Newsmax Health (2015, September) Retrieved January 3, 2018, from https://www.newsmax.com/Health/Health-News/hip-fracture-surgery-risk/2015/09/15/id/691715/Ongoing research continues to show that getting exercise on a regular basis can extend your expected lifespan. Newer studies are showing an association that can be related to nearly any type of activity and an increased life expectancy. Activity is also linked to a decreased risk for developing many different diseases, which can be important for maintaining a good quality of life throughout your senior years. The American Heart Association recommends 150 minutes of moderate exercise every week for adults . This can be broken down into 30 minutes on each of 5 days during the week. Adults who completed the recommended amount were found to have an increase the expected lifespan by 2 to 5 years when compared to those who were leading a sedentary lifestyle, according to information provided by the Center for Advancing Health . While this is good information, it's important to note that some people may experience limited mobility, especially during aging. This could make it extremely difficult for these individuals to engage in moderate activity, especially for the recommended half an hour on 5 days every week. Whether the activity was from housework, activity required through employment, or scheduled exercise time, all forms of activity were found to be helpful. Adults who enjoyed any type of activity from between 2 1/2 and 12 1/2 hours a week were found to have a 20% less likely risk of death than those who engaged in less activity. Unsurprisingly, those who enjoyed even more activity, more than the 12 1/2 hours a week, had a 35% reduced risk of dying. Even the not-so-physical activity of reading has been shown to help lower the risk of dying by more than 20%. Even individuals with mobility impairment concerns or who engage in little activity may find hope in more recent studies. It seems that just leaving your home on a regular basis may help to increase longevity in seniors . This effect on life span was found to be independent of social and medical factors. It may be that the point of remaining engaged and doing things that you enjoy as you get older can be enough to maintain resilience to provide benefits to your health and length of life. Because any activity is better than nothing, seniors may want to find ways to increase their movement and time spent in enjoyable activities throughout the day. Just getting out of the house for an easy walk and a breath of fresh air can go a long way toward a better and longer life. If you have physical limitations due to an injury, Maplewood of Sauk Prairie can help you to get back on track with outpatient rehabilitation services. Even if you need a long-term care solution, you'll be able to get the activity that you need to enjoy a longer, healthier life. You won't be confined to the facility, and you'll still be able to get out to enjoy the things that you love to do. Sources:  "Physical activity improves quality of life", The American Heart Association. Retrieved January 2, 2018 from http://www.heart.org/HEARTORG/HealthyLiving/PhysicalActivity/FitnessBasics/Physical-activity-improves-quality-of-life_UCM_307977_Article.jsp#.Wku8Jt-nHIV  Fauntleroy, Glenda. "Exercise Can Extend Your Life by as Much as Five Years", Center for Advancing Health. Retrieved January 2, 2018 from http://www.cfah.org/hbns/2012/exercise-can-extend-your-life-by-as-much-as-five-years  "A Little Exercise Might Lengthen Life", National Institutes of Health. Retrieved January 2, 2018 from https://www.nih.gov/news-events/nih-research-matters/little-exercise-might-lengthen-life  "Any Kind of Regular Physical Activity Can Lengthen Your Life", Center for Science in the Public Interest. Retrieved January 2, 2018 from https://cspinet.org/tip/any-kind-regular-physical-activity-can-lengthen-your-life  Hubbard, Sylvia Booth. "Leaving the House Every Day Helps Seniors Live Longer", Newsmax Health. Retrieved January 2, 2018 from https://www.newsmax.com/health/health-news/seniors-longevity-survival-leaving/2017/11/22/id/82768Being overweight can have severe impacts on overall health. The older a patient gets, the more likely the extra weight gain can be detrimental. Every system in the body is affected by being overweight. The cardiovascular system has to work overtime. The lungs have a harder time getting air. The endocrine system has a harder time processing sugar. Unfortunately, as humans age, it already becomes harder for the body to do normal things. Being overweight becomes absolutely dangerous at this stage. In fact, many patients with weight problems can expect to have shorter life spans. This is no laughing matter. There are several severe consequences to being overweight. One of the primary fears of older people and caretakers is dementia. For anyone who has already watched a loved one slowly and painfully lose the battle against Alzheimer's, this worry is even more acute. There isn't as much good news as everyone would like, but two important studies have shown how important the correct diet can be in saving your memory. The Mediterranean-DASH Intervention for Neurodegenerative Delay (MIND) diet is a combination of two heart-healthy diets, the Mediterranean diet and the DASH (Dietary Approaches to Stop Hypertension) diet. While either diet offers a number of health benefits, a special combination of the two appears to be particularly useful in fighting late-onset Alzheimer's, the form of the disease seen most frequently. Special diets can be difficult for the cook who may need to prepare two separate meals. One of the great attributes of the delicious MIND diet is that it's good for everyone. Many treasured family recipes can be adapted by substituting one ingredient for another (olive oil instead of butter, for example). Unlike some diets, the MIND diet is helpful even if you don't follow it as rigorously as you should. Starting early and not "cheating" provides the most benefits for delaying dementia, but even a less than perfect adherence to the MIND diet will pay dividends over time. The participants in the large national Health and Retirement Study, sponsored by the U.S. National Institute on Aging, had a mean age of 67.8 years. The Women's Health Initiative Memory Study followed 7,000 older women for 10 years. The results from both studies were enlightening and produced similar results. Closely following the MIND diet resulted in a 34%-35% reduction in the likelihood of Alzheimer's. Moderately following the MIND diet conferred an 18-24% reduction in the likelihood of Alzheimer's. The MIND diet isn't very complicated and doesn't require you to buy exotic foods. The guidelines are broad enough to accommodate most tastes. A few recipe ideas to spark your creativity can be found here. Vitamins C and E: The MIND diet is high in vitamins C and E, which help protect the brain. Plant-based foods contain these and other vitamins which help to preserve memory and cognitive skills. Vitamins C and E also contain antioxidants which offer protection from free radical damage. While these vitamins are helpful individually, a John Hopkins study found C and E protected the brain when used together, lowering the risk of developing Alzheimer's. Vitamin C also helps to remove metals such as aluminum, long believed to contribute to cognitive impairment. Vitamins B6, B12 and Folic Acid: Green leafy vegetables are abundant in these nutrients which help to improve the brain's function and reduce brain atrophy and shrinkage. Vitamin K: Also found primarily in green veggies, it is believed Vitamin K helps to prevent Alzheimer's. Berries: Berries are the only fruits that have been shown to improve memory and decrease the loss of neurons. Berries also have powerful anti-inflammatory and antioxidant properties which tackle two of the suspected causes of Alzheimer's. 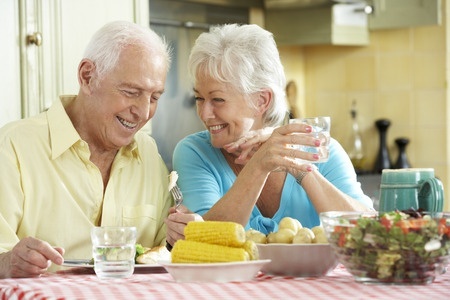 The prevention and delay of dementia's onset with the MIND diet can be significant. When it's time for professional assistance, Maplewood of Sauk Prairie understands the importance of family and your loved one's unique needs. For over 40 years, they have been providing high quality care to residents of Sauk City, WI and the surrounding region. The Overuse of Prescription Drugs in America Medicine has been around for thousands of years in human society, although not as beneficial as it stands today. Diagnosing diseases and illnesses, administering injections, prescribing medication, and recommending courses of action to take have all helped humans maintain higher quality of living. The research and practice of medicine has obviously allowed the average person to live longer. In 1900, the world's average life expectancy was a mere 31 years of age. Today, the average person is expected to live more than 70 years, nearing 90 years of age in the world's most advanced and established countries. While medicine is undoubtedly a modern marvel, the overuse of prescription drugs in America is a public health issue. Today's most commonly abused type of medication is prescription opioids. While people have used the poppy plant and its opium latex for thousands of years in treating health issues and for recreation, prescription opioids are far worse than anything seen before. Opioid abuse is by far the world medical problem in America today regarding medications, although drugs used to treat anxiety, sleep problems, and ADHD are also commonly abused. The history of opioid use in America Morphine and codeine both naturally exist in poppy plants as alkaloids, although they were isolated, extracted, and used in the early 1800s. However, these drugs were often abused and caused significant physical and mental withdrawal symptoms. In the late 1800s, pharmaceutical giant Bayer developed, advertised, and distributed prescription formulations of heroin as a less addictive form of morphine. Widespread proliferation of semi-synthetic opioids Today, we know heroin is highly addictive. However, history often repeats itself. In the mid-1990s, Purdue Pharmaceuticals developed OxyContin, an extended-release formulation of painkiller oxycodone, also derived from poppy plants. OxyContin quickly became one of the most popular painkillers on the medical market, as it was marketed as a non-addictive opioid in alternative to other painkillers. OxyContin proved to be highly addictive, just as heroin did, and was easily abused. In 2009, the drug's manufacturer began creating tablets in non-abusable formulations, hoping to combat opioid abuse. While people in future generations won't be able to abuse OxyContin as easily as Americans could before, this formulation switch prompted people to start using heroin. Switching to heroin Around 2012, doctors in the United States began prescribing opioids less frequently and in smaller amounts. With fewer prescription opioids on the black market, their price skyrocketed. The combination of fewer opioid painkillers in circulation and their rising cost facilitated situations for opioid abusers to opt for street heroin, cheaper than illegally-sourced opioids. Prescription drug production is regulated, making sure all tablets and solutions are made identically and in safe dosages. The manufacture and trade of street drugs, however, isn't overseen by any regulatory bodies. As such, the potency of each and every batch differs, with many batches adulterer with super-powerful, synthetic opioids like fentanyl and carfentanyl, able to cause overdose many times easier than with heroin. This results in an exorbitantly high amount of overdoses in our great nation, deeply saddened by this epidemic. Regulatory bodies in the United States have encouraged doctors to write fewer prescriptions for opioids and have educated them on the dangers of opioids. The opioid epidemic is likely to slow in coming years, although there's no immediate remedy to the harm legally-produced painkillers and illicit heroin has caused. Ongoing research continues to show that getting exercise on a regular basis can extend your expected lifespan. Newer studies are showing an association that can be related to nearly any type of activity and an increased life expectancy. Activity is also linked to a decreased risk for developing many different diseases, which can be important for maintaining a good quality of life throughout your senior years. The American Heart Association recommends 150 minutes of moderate exercise every week for adults . This can be broken down into 30 minutes on each of 5 days during the week. Adults who completed the recommended amount were found to have an increase the expected lifespan by 2 to 5 years when compared to those who were leading a sedentary lifestyle, according to information provided by the Center for Advancing Health . While this is good information, it’s important to note that some people may experience limited mobility, especially during aging. This could make it extremely difficult for these individuals to engage in moderate activity, especially for the recommended half an hour on 5 days every week. Researchers at the National Institutes of Health are finding that any type of activity is better than none at all when it comes to longevity . Those who did moderate forms of activity, such as walking briskly, were able to add almost two years to their life expectancy when completing only half of the recommended amount. This means that even competing 75 minutes a week or 15 minutes a day is still beneficial to longevity. Because any activity is better than nothing, seniors may want to find ways to increase their movement and time spent in enjoyable activities throughout the day. Just getting out of the house for an easy walk and a breath of fresh air can go a long way toward a better and longer life. If you have physical limitations due to an injury, Maplewood of Sauk Prairie can help you to get back on track with outpatient rehabilitation services. Even if you need a long-term care solution, you’ll be able to get the activity that you need to enjoy a longer, healthier life. You won’t be confined to the facility, and you’ll still be able to get out to enjoy the things that you love to do. One of the primary fears of older people and caretakers is dementia. For anyone who has already watched a loved one slowly and painfully lose the battle against Alzheimer’s, this worry is even more acute. There isn’t as much good news as everyone would like, but two important studies have shown how important the correct diet can be in saving your memory. The Mediterranean-DASH Intervention for Neurodegenerative Delay (MIND) diet is a combination of two heart-healthy diets, the Mediterranean diet and the DASH (Dietary Approaches to Stop Hypertension) diet. While either diet offers a number of health benefits, a special combination of the two appears to be particularly useful in fighting late-onset Alzheimer’s, the form of the disease seen most frequently. Special diets can be difficult for the cook who may need to prepare two separate meals. One of the great attributes of the delicious MIND diet is that it’s good for everyone. Many treasured family recipes can be adapted by substituting one ingredient for another (olive oil instead of butter, for example). Unlike some diets, the MIND diet is helpful even if you don’t follow it as rigorously as you should. Starting early and not “cheating” provides the most benefits for delaying dementia, but even a less than perfect adherence to the MIND diet will pay dividends over time. The participants in the large national Health and Retirement Study, sponsored by the U.S. National Institute on Aging, had a mean age of 67.8 years. The Women’s Health Initiative Memory Study followed 7,000 older women for 10 years. Closely following the MIND diet resulted in a 34%-35% reduction in the likelihood of Alzheimer’s. Moderately following the MIND diet conferred an 18-24% reduction in the likelihood of Alzheimer’s. The MIND diet isn’t very complicated and doesn’t require you to buy exotic foods. The guidelines are broad enough to accommodate most tastes. A few recipe ideas to spark your creativity can be found here. Vitamins C and E: The MIND diet is high in vitamins C and E, which help protect the brain. Plant-based foods contain these and other vitamins which help to preserve memory and cognitive skills. Vitamins C and E also contain antioxidants which offer protection from free radical damage. While these vitamins are helpful individually, a John Hopkins study found C and E protected the brain when used together, lowering the risk of developing Alzheimer’s. Vitamin C also helps to remove metals such as aluminum, long believed to contribute to cognitive impairment. Vitamins B6, B12 and Folic Acid: Green leafy vegetables are abundant in these nutrients which help to improve the brain’s function and reduce brain atrophy and shrinkage. Vitamin K: Also found primarily in green veggies, it is believed Vitamin K helps to prevent Alzheimer’s. Berries: Berries are the only fruits that have been shown to improve memory and decrease the loss of neurons. Berries also have powerful anti-inflammatory and antioxidant properties which tackle two of the suspected causes of Alzheimer’s. The prevention and delay of dementia’s onset with the MIND diet can be significant. When it’s time for professional assistance, Maplewood of Sauk Prairie understands the importance of family and your loved one’s unique needs. For over 40 years, they have been providing high quality care to residents of Sauk City, WI and the surrounding region. Medicine has been around for thousands of years in human society, although not as beneficial as it stands today. Diagnosing diseases and illnesses, administering injections, prescribing medication, and recommending courses of action to take have all helped humans maintain higher quality of living. The research and practice of medicine has obviously allowed the average person to live longer. In 1900, the world’s average life expectancy was a mere 31 years of age. Today, the average person is expected to live more than 70 years, nearing 90 years of age in the world’s most advanced and established countries. While medicine is undoubtedly a modern marvel, the overuse of prescription drugs in America is a public health issue. Today’s most commonly abused type of medication is prescription opioids. While people have used the poppy plant and its opium latex for thousands of years in treating health issues and for recreation, prescription opioids are far worse than anything seen before. Opioid abuse is by far the world medical problem in America today regarding medications, although drugs used to treat anxiety, sleep problems, and ADHD are also commonly abused. Morphine and codeine both naturally exist in poppy plants as alkaloids, although they were isolated, extracted, and used in the early 1800s. However, these drugs were often abused and caused significant physical and mental withdrawal symptoms. In the late 1800s, pharmaceutical giant Bayer developed, advertised, and distributed prescription formulations of heroin as a less addictive form of morphine. Today, we know heroin is highly addictive. However, history often repeats itself. In the mid-1990s, Purdue Pharmaceuticals developed OxyContin, an extended-release formulation of painkiller oxycodone, also derived from poppy plants. OxyContin quickly became one of the most popular painkillers on the medical market, as it was marketed as a non-addictive opioid in alternative to other painkillers. OxyContin proved to be highly addictive, just as heroin did, and was easily abused. In 2009, the drug’s manufacturer began creating tablets in non-abusable formulations, hoping to combat opioid abuse. While people in future generations won’t be able to abuse OxyContin as easily as Americans could before, this formulation switch prompted people to start using heroin. Around 2012, doctors in the United States began prescribing opioids less frequently and in smaller amounts. With fewer prescription opioids on the black market, their price skyrocketed. The combination of fewer opioid painkillers in circulation and their rising cost facilitated situations for opioid abusers to opt for street heroin, cheaper than illegally-sourced opioids. Prescription drug production is regulated, making sure all tablets and solutions are made identically and in safe dosages. The manufacture and trade of street drugs, however, isn’t overseen by any regulatory bodies. As such, the potency of each and every batch differs, with many batches adulterer with super-powerful, synthetic opioids like fentanyl and carfentanyl, able to cause overdose many times easier than with heroin. This results in an exorbitantly high amount of overdoses in our great nation, deeply saddened by this epidemic. Regulatory bodies in the United States have encouraged doctors to write fewer prescriptions for opioids and have educated them on the dangers of opioids. The opioid epidemic is likely to slow in coming years, although there’s no immediate remedy to the harm legally-produced painkillers and illicit heroin has caused.